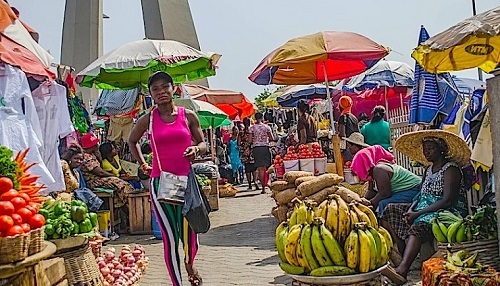 Ghana has improved in the ranking on the ease of doing business rank, according to the World Bank Group 2019 Doing Business Report. The report, titled, ‘Training for Reform’ was released Wednesday. In the latest report, Ghana has improved its ranking to 114 out of 190 economies up six places from 120 in the 2018 Doing Business Report. 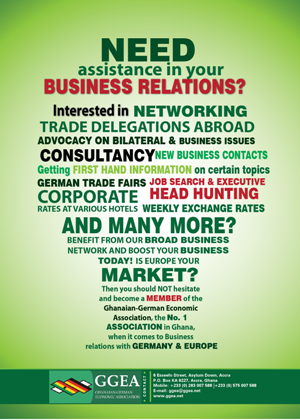 Ghana’s ease of doing business score formerly called distance to the frontier has increased by 2.06 to 59.22. Doing Business presents quantitative indicators on business regulation and the protection of property rights that can be compared across 190 economies. Regulations affecting 11 areas of the life of a business are covered: starting a business, dealing with construction permits, getting electricity, registering property, getting credit, protecting minority investors, paying taxes, trading across borders, enforcing contracts, resolving insolvency and labour market regulation. Sub-Saharan Africa has been the region with the highest number of reforms each year since 2012. This year, Doing Business captured a record 107 reforms across 40 economies in Sub-Saharan Africa, and the region’s private sector is feeling the impact of these improvements. The average time and cost to register a business, for example, has declined from 59 days and 192% of income per capita in 2006 to 23 days and 40% of income per capita today. Furthermore, the average paid-in minimum capital has fallen from 212% of income per capita to 11% of income per capita in the same period. Ghana’s progress reflects reforms in three key areas. First, the Government has made it easier to Deal with Construction Permits by strengthening construction quality control by imposing stricter qualification requirements for professionals in charge of technical inspections. Second, the Government has made it easier to Pay Taxes, by allowing financial losses to be fully carried forward during any of the following five years of assessment; and third, the Government has made it easier to Trade Across Borders, by implementing a paperless customs clearance processing system. “It is encouraging to see that progress is being made to improve the business environment to promote investments by both domestic and foreign firms, so necessary to spur growth, provide jobs and further reduce poverty,” said Mr. Henry Kerali, Country Director, World Bank, Ghana. “The World Bank Group looks forward to working with the government to build on this progress, including through the establishment of the institutional mechanisms to implement and monitor reforms, to facilitate dialogue between the private sector and the government, and to facilitate peer learning from best reformers”. Four African economies – Togo, Cote d’Ivoire, Kenya and Rwanda – are among the top 10 most improved economies globally. With Djibouti, which makes it to this list for the second consecutive year, Africa occupies half of the top 10 most improved economies list. Rwanda leads the reform count with 7 reforms; Djibouti and Togo have 6 reforms each; while Cote d’Ivoire, Gabon, Guinea, Kenya, Mauritius and Sudan score 5 reforms each. “Ghana has begun to regain its reform momentum said Ronke-Amoni Ogunsulire, the IFC Country Manager. “The government’s goal to create a business environment that increases Ghana’s global competitiveness will require challenging the status quo, through enhanced transparency and coordination in providing Government to Business Services, thus enabling the private sector to make investment decisions.